Eric W. Price is the Chief Executive Officer of HIT Advisers LLC and Building America CDE, Inc., and Executive Vice President of the Housing Investment Trust (HIT). He rejoined the HIT as Managing Director, Housing and Community Development Investments in February 2010 after earlier serving as the HIT’s Chief Investment Officer and Director of Housing Production from 1994 to 1998. As Executive Vice President Mr. Price has responsibility for coordinating multifamily investment activities with state and local housing finance agencies, mortgage bankers, and non-profit and for-profit developers that require public / private financing structures such as, complex mixed-use or single family transactions, New Markets Tax Credit transactions, and other city and state-specific efforts around the country. As the CEO for Building America he is responsible for managing the operations of the Building America CDE, Inc., a wholly-owned subsidiary of HIT Advisers, created to facilitate the HIT’s participation in projects utilizing New Markets Tax Credits. He is also responsible for managing and directing the startup of HIT Advisers LLC, a wholly owned investment adviser subsidiary of the HIT formed in October 2016. Mr. Price brings to the HIT a broad background in housing and community development from his work in the public, nonprofit and private sectors. 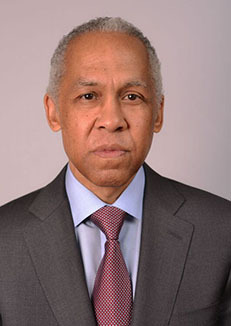 As Deputy Mayor for Planning and Economic Development for the District of Columbia from 1999 to 2004, he managed, financed and coordinated the execution of all economic development programs and policies for Washington, DC, including city investments in neighborhood, downtown and waterfront developments. During this period he oversaw the financing for the preservation and creation of over 14,000 affordable housing units, 1 million sq. ft. of neighborhood retail, and the creation of the City’s first Housing Production Trust Fund. Through land disposition and management of the City’s TIF program he invested and negotiated development for several major economic initiatives including Gallery Place, Spy Museum, Mandarin Hotel, Convention Center Hotel, DC USA, Shakespeare Theater, City Center, and the Southwest waterfront. His office led negotiations for the $100 million dollar sale of city property to the Newseum and structured and negotiated the baseball stadium agreement with Major League Baseball to bring the Washington Nationals to DC. He later joined the Local Initiatives Support Corporation (LISC) as Senior Vice President for Neighborhood Markets, with responsibility for overseeing its Commercial Corridor Program, New Markets Tax Credit program and a number of national initiatives designed to help non-profit community development corporations revitalize distressed neighborhoods. Mr. Price has served on a number of public and private Boards including; the DC Housing Authority, The DC Convention Center, the Anacostia Waterfront Corporation, the National Capital Revitalization Corporation, the DC Marketing Center, Washington Hospital Center, and the Medstar Investment Committee. He currently serves on the Board of Casey Trees (past President), DC Prep Academy, the National Low Income Housing Coalition, and the New Markets Tax Credit Coalition. Mr. Price holds a Bachelor's degree from the University of California at Los Angeles and a Master of Business Administration from the Fuqua School of Business at Duke University.